I have a 2D scatter plot. 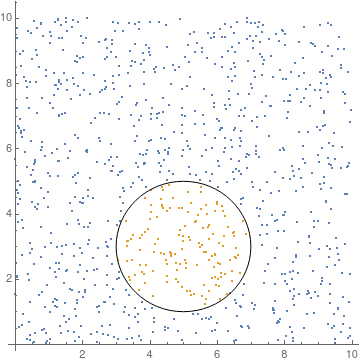 Now I want to select a circular region in this plot and use the data inside the circular region for further analysis. Is there any way to do that? 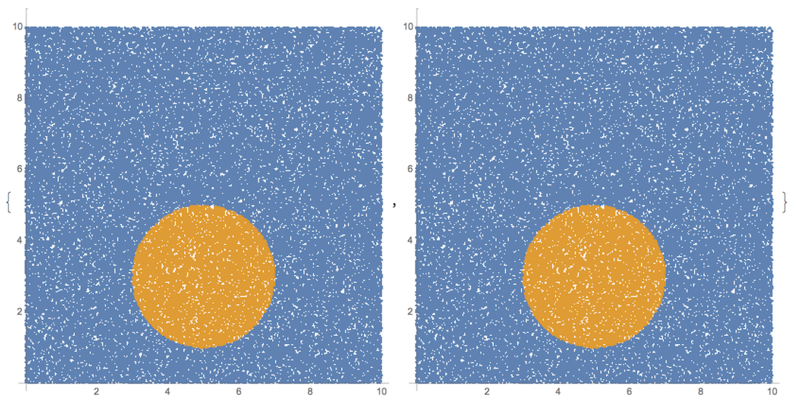 The points sets might differ due to different boundary inclusion interpretation by Nearest and Select. But those could be easily adjusted by the radius value. How can I draw a 2D circular plot?